It is something of a misconception that root canal treatment is painful. Root canal work actually relieves the pain of an infected tooth. A tooth has several layers of different material. The outer layer is enamel, the hardest part of the human body. Inside this is the dentin, a supporting structure that is a mixture or inorganic and organic materials. At the centre of the tooth is the pulp, which contains the blood vessels and nerves of the tooth. Surface damage to the enamel of a tooth can be repaired with a filling. Damage to the underlying dentin can be repaired in the same manner. 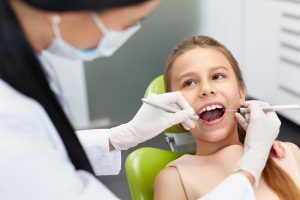 But if the inner pulp of the tooth is seriously damaged there is a risk of a spreading infection, meaning that this pulp will probably need to be removed. Removal of the infected tooth pulp is called root canal treatment. This extracts all of the living tissue inside the tooth and replaces it with an inert filling material. A root canal procedure will require at least two, sometime three dental visits. An infected tooth will usually be painful, show swelling and possibly exhibit signs of infection. Root canal work will remove the problem and alleviate the pain.